12-year-old Sana, who hasn’t lived with her parents since birth due to poverty, has been close to death multiple times. Due to a congenital heart disease and a hole in her heart, she has been paralyzed, undergone 5 brain surgeries, and even lost her eyesight. Recently, she underwent a corrective heart surgery but she needs to stay in the ICU followed by additional treatments. Her family has given all they had but they just can’t seem to help her anymore. Salim Mohammad, a poor cab driver in rural Rajasthan, and his wife, Anisha had twins, Sanya and Sana. Due to poverty, they could not afford to raise two children. 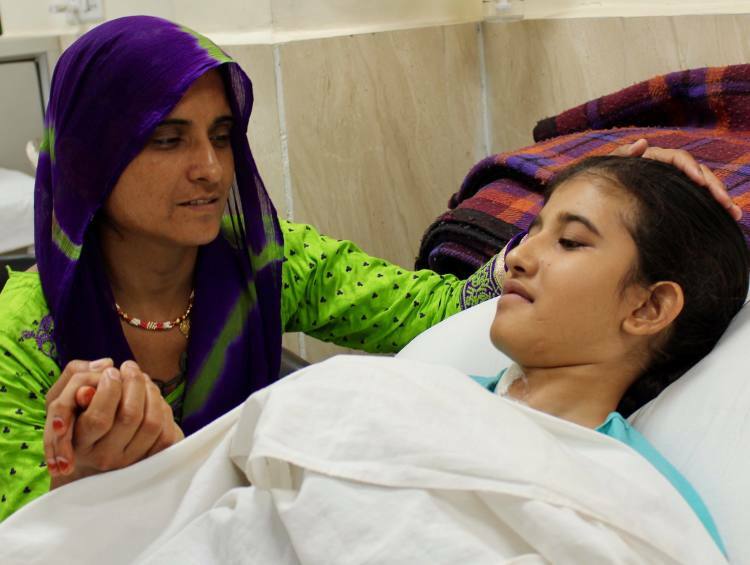 Anisha’s mother, Bano, took Sana under her care and she’s been there ever since. Born with a severe heart defect, known as Tetralogy of Fallot, and a hole in her heart, Sana’s anomaly was diagnosed when she was just a baby. 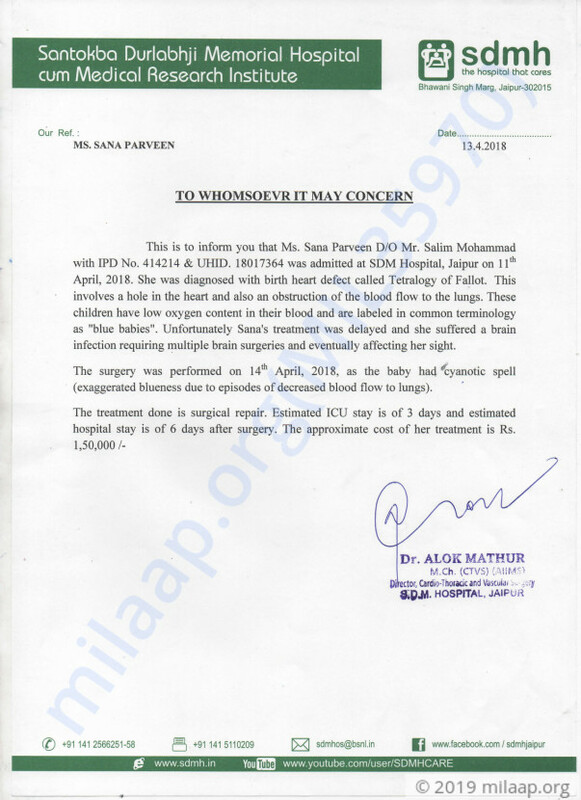 Lack of knowledge, awareness, and funds made it hard for Sana to undergo the heart surgery when diagnosed. “We come from a very small village in the district of Ajmer. We did get her diagnosed when she was a baby. The local doctor said that she should undergo surgery when she’s a lot older and we just believed him. This was a long time ago and I wish I had more knowledge. 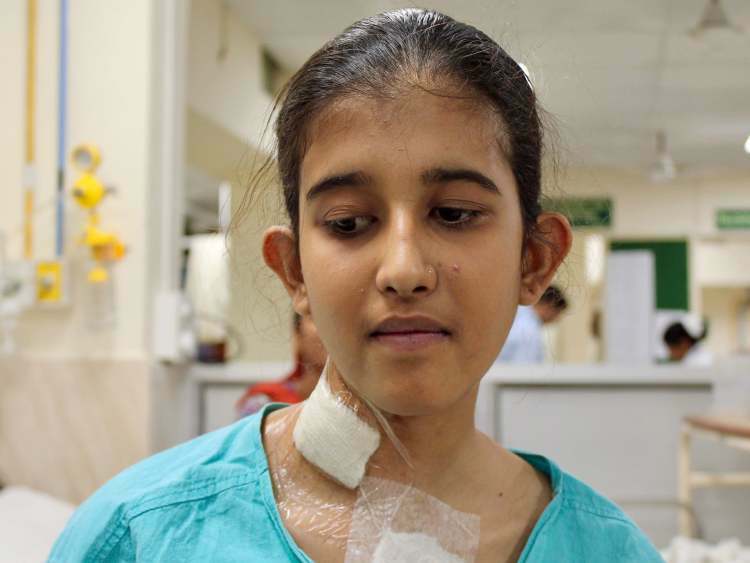 She could have been fine if she underwent surgery 10 years ago.” – Ismail, Sana’s uncle. Over 5 years ago, Sana suddenly fainted in school. Due to a big hole in her heart, her oxygen levels were terribly low and her brain stopped functioning. She was so critical that she had to undergo 5 life-saving brain surgeries. It’s been 5 years since Sana lost her eyesight. Her life has completely changed. She is still in the 3rd grade. She is severely depressed and doesn’t speak at all, she is still somewhat paralyzed and when she walks it seems like she’s dragging her foot. She needs help with everything she does and this has taken a toll on the 12-year-old's mental health. 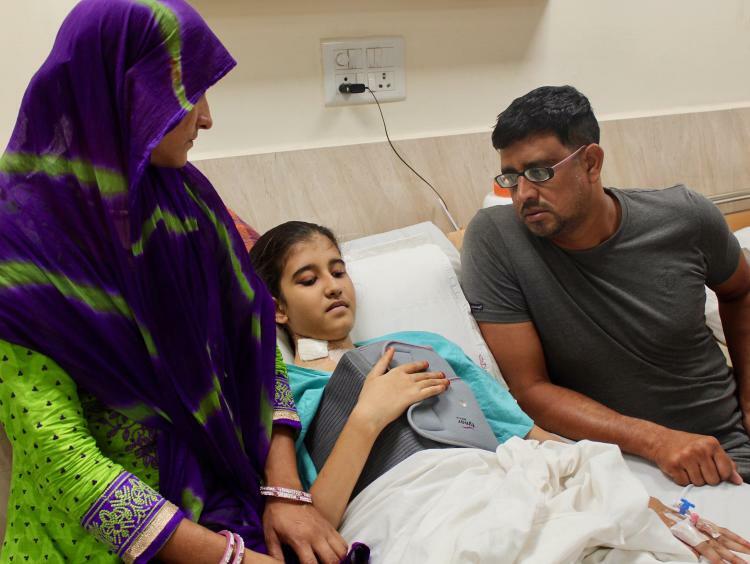 Recently, Sana’s condition had become so critical that she needed to undergo an urgent cardiac surgery. Her heart was at high risk of failure. 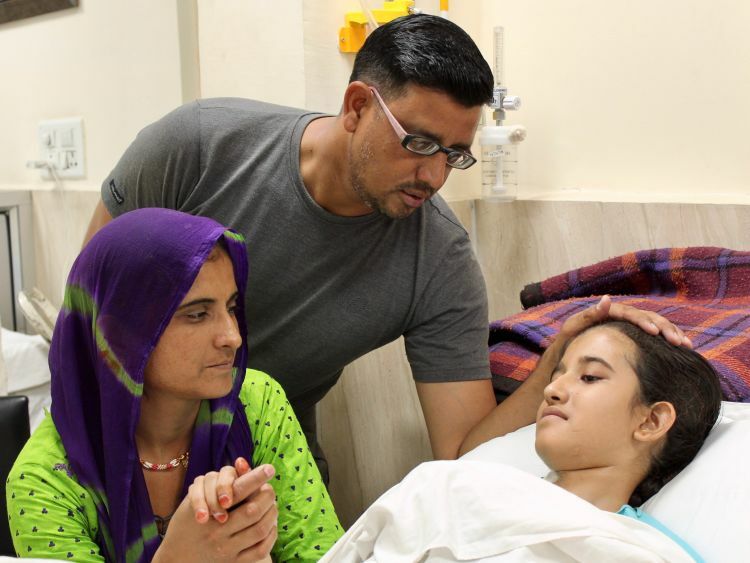 Even after the surgery, Sana needs to stay in the ICU and get additional treatments. Her family has given all they had. Ismail has asked his friends to help him from time to time and Salim is trying very hard to arrange for some money. They’ve spent over 3 lakhs on Sana until now. They need an additional Rs. 1.5 lakhs to help her live. 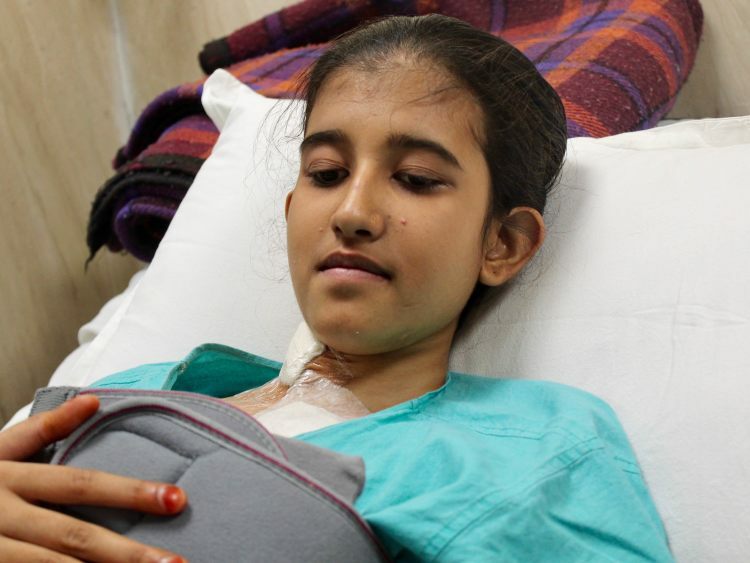 Sana has high chances of recovery, but this is only possible if she gets the additional life-saving treatments first. After an urgent heart surgery, Sana has no option but to remain in the ICU and then receive additional treatments. The 12-year-old is still blind due to her delayed treatment but she has high chances of recovery. 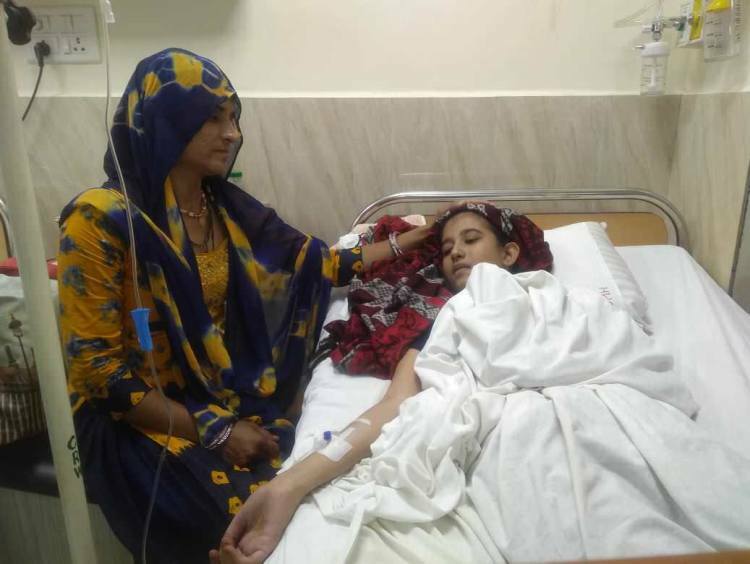 Her family has spent everything they had and now they are in need of your support to help her live. 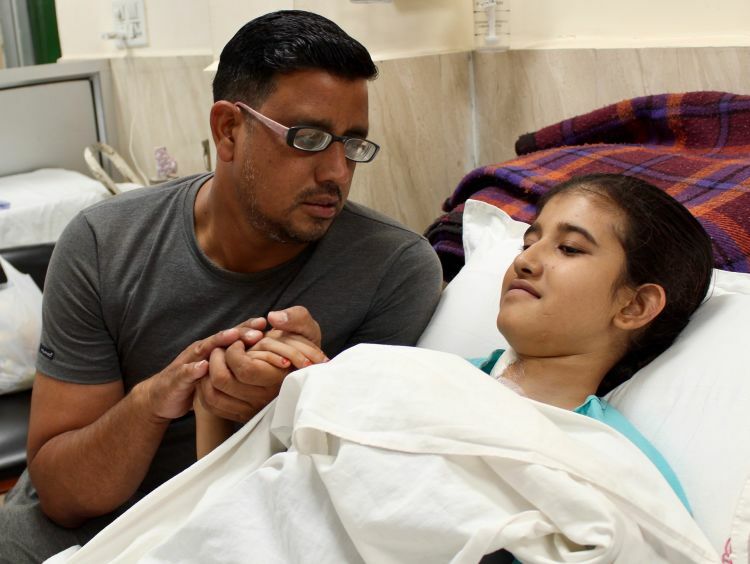 Your support will ensure Sana's failing heart recovers again and helps her live. Thank you for all the wonderful love and support that you have shown towards Sana. The surgery was successful. She is doing better now and was discharged from the hospital at the end of April.